So far West Davis Active Adult Community Planning Group has created 50 blog entries. 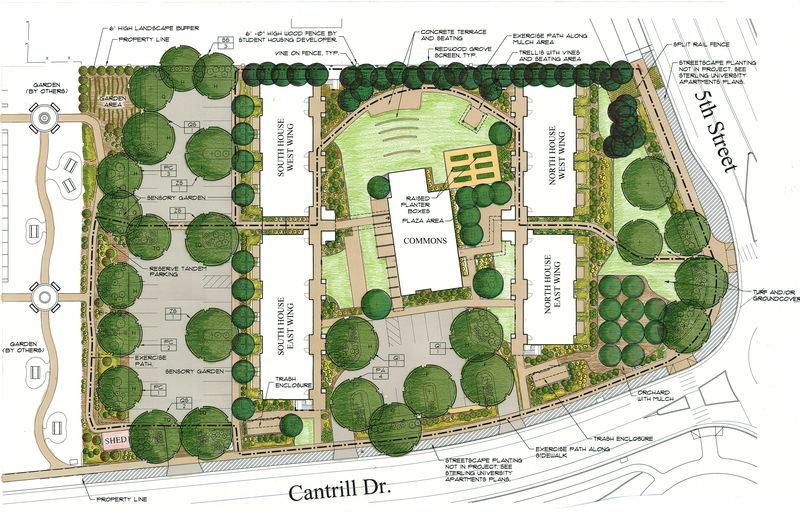 Here is a rendering of the site plan for Eleanor Roosevelt Circle (DSHC Davis flagship) showing the gardens, orchards, planter beds and open space. The DSHC project at WDAAC will have a similar attractive apartment density.